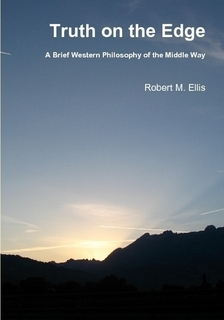 Middle Way PhilosophyWebsite by Robert M. Ellis, based on an accredited Ph.D. thesis. 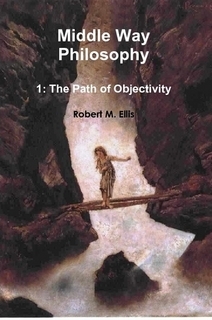 A practical philosophy combining various influences: Buddhist Practice, Pyrrhonism, Jung, Philosophical Ethics, Philosophy of Science, Hume, Lakoff and McGilchrist. A challenge to entrenched dualisms everywhere. This site contains many resources, but is now no longer being developed or updated. For my most recent work, together with a developing community and events related to Middle Way Philosophy, please see the Middle Way Society site. A Brief Western Philosophy of the Middle Way. Truth is meaningful but we do not know what is true. 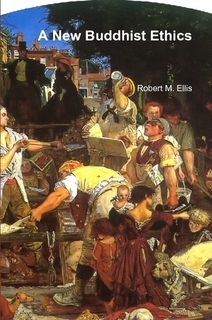 A five-volume series giving a new detailed account of the philosophy, psychology and practice. A detailed account of the philosophy of the Middle Way, and how it can justify incremental objectivity both in scientific and ethical terms. 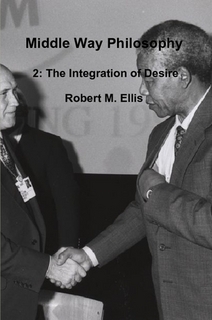 Conflicts of desire are central to our experience, and integrating them one of the most important elements of objectivity. 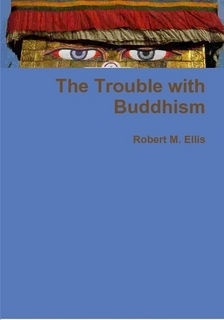 This book brings together strands from Buddhism, Philosophy, Psychology and Politics to find a common pattern in the practical ways we can integrate desires. How the Buddhist tradition has betrayed its own insights. A critique of Buddhism using the Middle Way. A survey of practical ethics using the Middle Way approach. A challenge to traditional Buddhist ethics. Moral objectivity is an imperfect human quality. It does not require a perfect God's-eye view. We have no direct access to reality, but we can get closer to it by casting off illusions. The Middle Way provides a means of casting off the illusions of both positive metaphysics (e.g. appeals to God's revelation) and negative metaphysics (e.g. scientism). There are no short-cuts to moral objectivity, but it can be gradually cultivated. We do not have to either accept moral absolutes on faith or be relativists: there is an alternative. Moral objectivity can also explain the objectivity of science (not the other way round).